Ronnie Nathanielsz, a leading figure in sports journalism, has died. He was 81. As first reported by ABS-CBN News, Nathanielsz died Saturday morning (Manila time), just days after suffering a heart attack while en route to Las Vegas for Manny Pacquiao's big fight with Jessie Vargas on November 5. "Our dear colleague, friend, mentor, Ronnie Nathanielsz, passed away an hour ago, Friday morning in San Francisco, 1 week after suffering heart attack," wrote Sports U host Dyan Castillejo on her Instagram account. 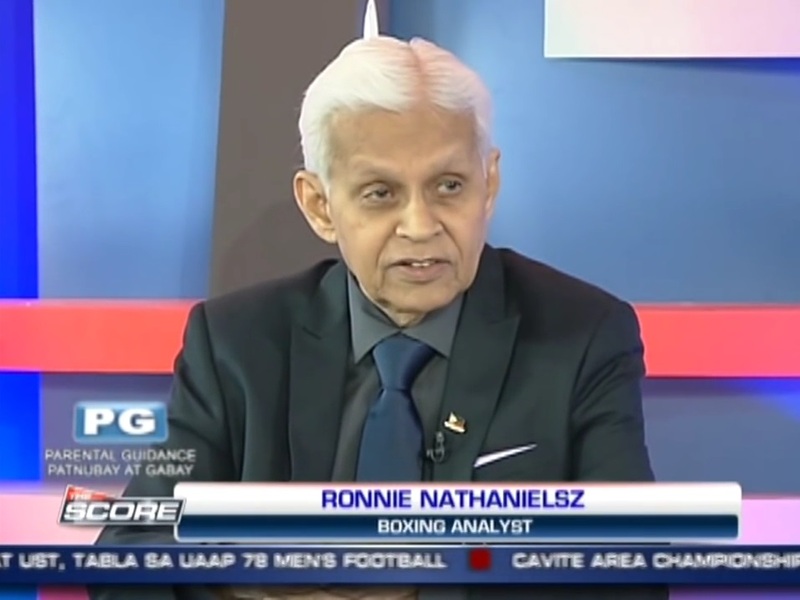 Nathanielsz began his career in 1975 as a liaison officer between the Marcos government and the organizers of Muhammad Ali and Joe Frazier for their final boxing match, "Thrilla in Manila." He would eventually join the television industry covering the Philippine Basketball Association games, while also serving as a sports contributor to a number of major dailies including the Manila Standard Today and the Philippine Daily Inquirer. Since 1999, Nathanielsz served as chief operating officer for Viva Sports, overseeing its sports program development including the PBA, which was then airing on IBC-13. "He's loved and respected by majority of sports fans because of his contributions in boxing journalism, although I do understand that there are significant people who don't like him because of his history with the Marcoses," said ABS-CBN's TJ Manotoc. "He'll be a big loss."